CEDAR CITY — Cedar City Mayor Maile Wilson and two city council members were officially sworn in at noon Tuesday to each begin serving four-year terms. Wilson, who won a second term as mayor in November’s general election, was joined by incumbent councilman Ron Adams, now starting his third term, and political newcomer R. Scott Phillips. 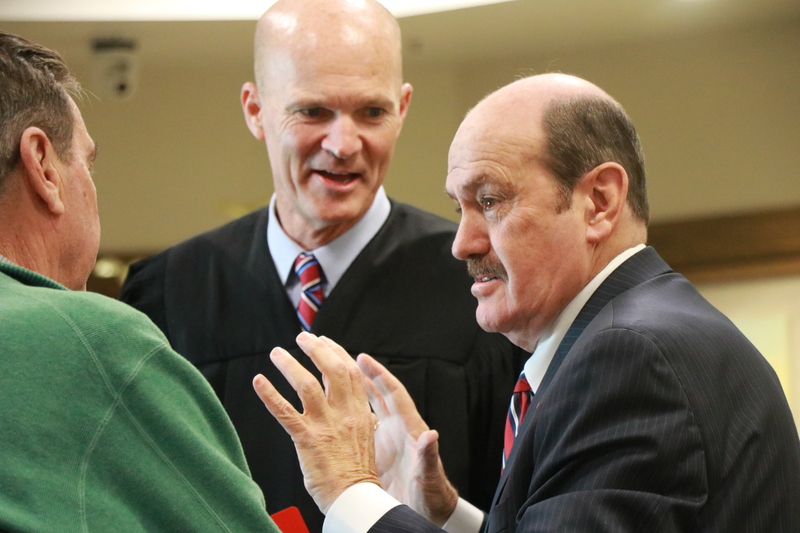 All three were lauded for their commitment and service to the community by Judge Keith C. Barnes, associate presiding judge for Utah’s 5th District Court. After brief remarks, Barnes then administered the oath of office to each of the elected candidates individually. Dozens of people attended the brief ceremony, including city officials and staff, friends and family and members of the public. 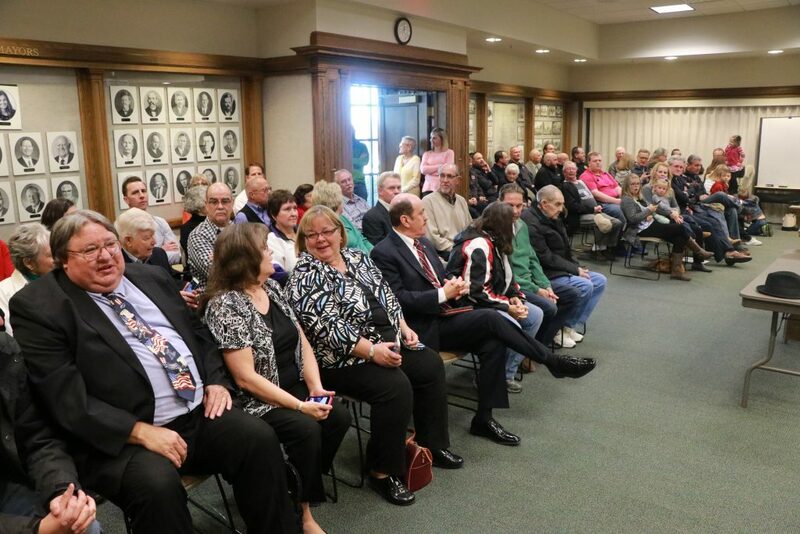 All three officials expressed their appreciation to the citizens of Cedar City and pledged to get right to work. “After today … all the work begins,” Wilson said, adding that she is excited to work with the council on several upcoming projects. Phillips said he’s looking forward to joining the council after campaigning for much of last year. The newly elected Adams and Phillips are joining three other council members who are in the middle of their terms, namely Paul Cozzens, Terri Hartley and Craig Isom. Outgoing council member Fred Rowley, who did not seek re-election after serving one four-year term, also attended Tuesday’s ceremony and was publicly thanked by Wilson for his service. The Cedar City Council’s first scheduled meeting of 2018 is a work session at 5:30 p.m. in the council chambers Jan. 3.